Home Technology 8 Black Hat SEO techniques used for hackers to violate your security! 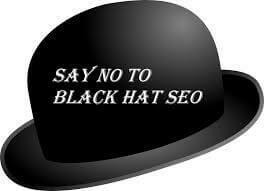 Black Hat SEO is normally used by hackers to coordinate attacks to your information. But, how does the hacker use Black Hat SEO techniques? Why does a hacker use it? In this article I’ll guide you to discover how to avoid these practices. And also to keep away from hacker attacks! I’ll show you information about Black Hat SEO for hackers in an easy way. If you don’t understand a part, please let your comment below. Also, I wrote many articles to keep your computer and android safe. Enjoy it! Most used Black Hat SEO techniques for hackers! This was Very used for years, was to add a lot of text for which we wanted to find the same color as the background of the web. In this way, the user was not visible but for the search engines. Currently, it’s in disuse. Normally, hackers abuse keywords so that we fill in all the elements of a web page (title, body, H1, H2, anchor text, URL, metatags, etc.). Here, the word is where we want it to be, but without offering content of value referring to it. Through automatic tools, what is black hat SEO take content from the network. It means, articles and modify them in a massive way using synonyms of the original with the computer tool. Automatically and from the same article we can get dozens of “variations” of it to add content to a blog for example. Thus, said content will not have much quality since they will be all copies with synonyms. There are WordPress plugins, such as Akismet that block many of the automatic ones. The manuals have to be blocked, so I advise to have marked the option to approve the comments before publishing them. 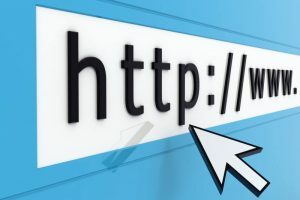 Many people to give promotion make worthless comments by adding a link to their blog. This Black Hat SEO technique consists of displaying content for search engines, and another good for users. Users are directed to a page that is not crawled by search engines. For example, a flash page, while search robots stay on the page optimized for them. What is the same do a lot of SEO. Include keywords optimize in excess the page for the robots of the search engines. It may turn out well but if you cross the thin line that separates White Hat SEO and Black Hat SEO techniques we can be bad. If we copy the content of another website, and use it as ours, Google has to detect which page is the original one. When they catch us that they will, the copy will go to limbo. If we copy text from other websites, always quote the source. Consists in making a copy of an existing web page in a very similar way in order to make the search engine believe that the copy made is the original and not the other way around, thus achieving positions in the ranking. How does the hacker use Black Hat SEO Techniques? First, the hacker will need a couple of main and secondary keywords to work. In this case, some hackers are using finances and place where they can get easy money. Once they found their niche, they will execute all the techniques I told you below. In some cases, the hacker will create a new website, or even a familiar website to catch new victims. It’s so important to understand how the black hat SEO techniques are. In this way, you will find more protection for your website and your finance stuffs. At the end, the hacker could eliminate the website and proceed to create a new one. This is to avoid get caught by Google or to use new techniques. Always take care of every site you visit and confirm it is not a trap. You can learn more about hackers here. Previous articleiPhone X Problems: Read this before buying new iPhone!